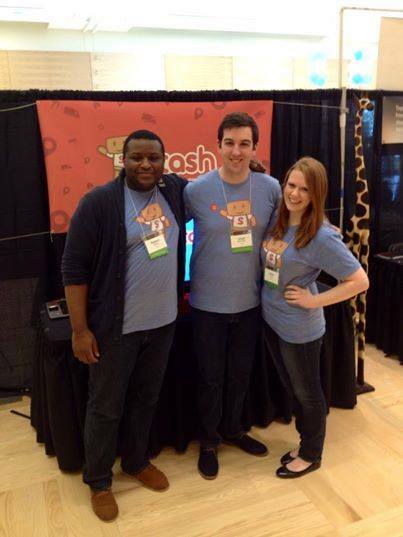 Three of the five co-founders Robert Sanders (L), Chad Robischon, and Katie Fraser (R). Not pictured: Aaron Goff and Sharath Udupa. When he’s not working for Microsoft or running his multimedia company 4th and State, Chad Robischon (B.A., 2012) does marketing for a new startup called Stash. CEO Katie Fraser, who attends the UW Foster School of Business, leads the peer-to-peer storage company and they recently won $2,500 at the UW Business Plan Competition. The main concept of Stash allows people to store one item, like a bike or mattress, and only pay for the space it needs instead of an expensive and oversized storage unit. Useful for summers away or three months abroad, college students are a key audience for this service. “I hope we are able to create a community of people who want to not only make money, but help their neighbors by storing their items – to create the same feeling as when you ‘ride with a friend’ or ‘stay in a home away from home,’” Robischon said. While Robischon’s skills are growing, so is Stash. They are currently looking for another developer to add to their team. If interested, contact info@stashwith.me.